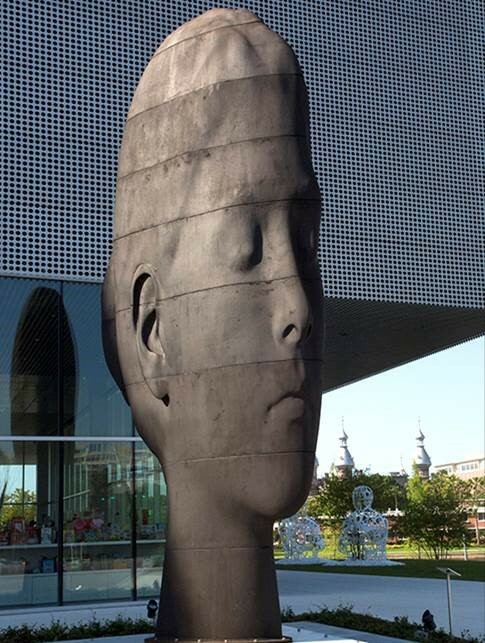 It's time to gaze, learn and imagine. Pack light, but bring all of your curiosity. 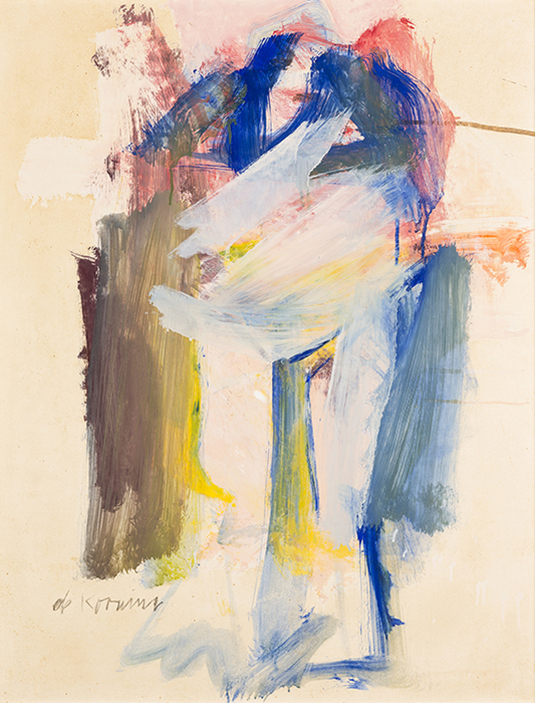 Abstract Expressionism: A Social Revolution, presents twenty-five works from the Haskell Collection indicative of Abstract Expressionism as a unifying direction in Post-World War II art. 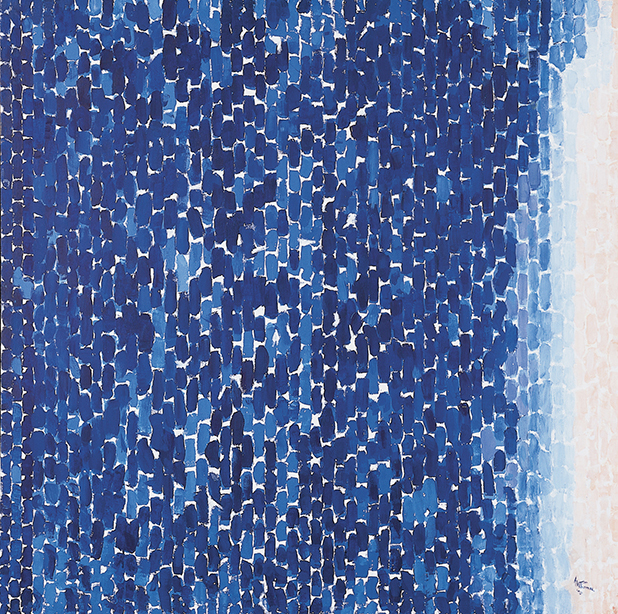 Echoing Forms: American Abstraction from the Permanent Collection presents paintings, works on paper, and photography by major artists associated with post-war American abstraction. 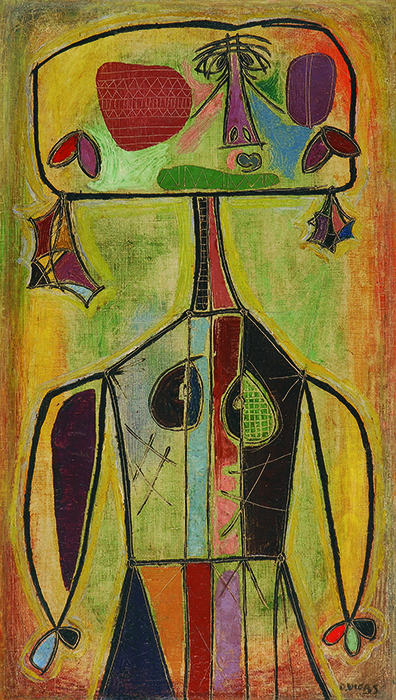 Oswaldo Vigas: Transformations is the first American survey of artist Oswaldo Vigas (Venezuelan, 1923-2014), examining his career and his contributions to 20th-century modernism. 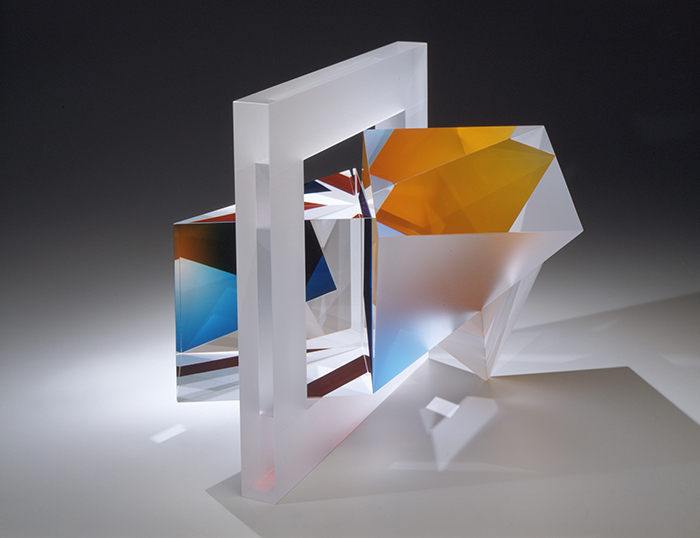 Shards and Illusions features an intimate selection of contemporary glass by American and European artists. Ancient Glass: A Closer Look, spotlights examples of ancient glass vessels. 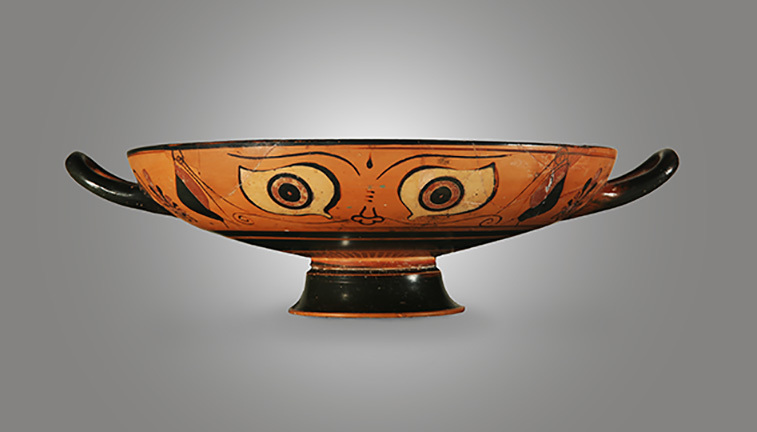 Ranging from prehistoric pottery and sculpture to Roman marble sculpture and terracotta, the exhibition includes a fine assortment of Greek and South Italian black-figure and red-figure vases. 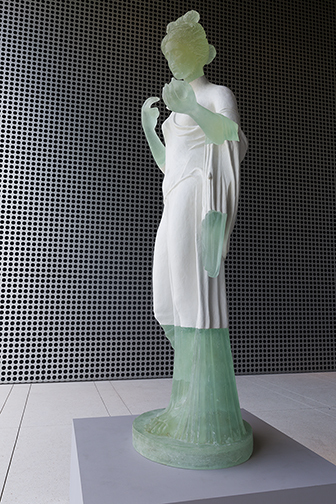 With her commissioned outdoor sculpture Aphrodite Reimagined, 2018, Patricia Cronin (American, b. 1963) has re-envisioned an Aphrodite torso in the Museum’s collection as a monumental statue. Light emitting diodes, Mac Mini, circuitry, Custom software and aluminum. 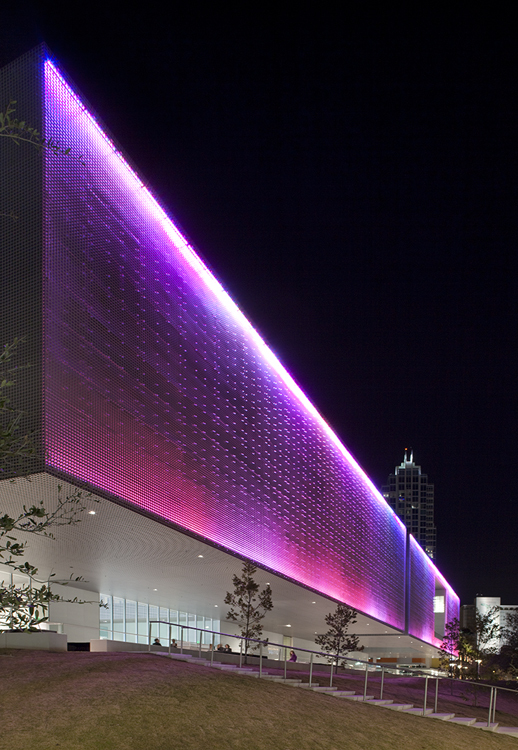 Tampa Museum of Art. Museum purchase. Additional funds provided by Friends of the Museum and the Raymond James Gasparilla Festival of the Arts, Inc. in celebration of its 40th Anniversary. Support for the purchase of LED lights was made possible in part with funds from the City of Tampa’s Public Art Program 2010.001. Photographer: Richard Barnes, ©Richard Barnes.© 2010 Leo Villareal. All rights reserved.